Japanese traditional soup bowl in pop looking with chubby round shape and vermilion lacquer.Not only for soup, also good for rice or cereal. The large one fits snugly for adults’ hands and the small one fits for children’s hands, the two set would be nice for parent and child. Black color is also available. 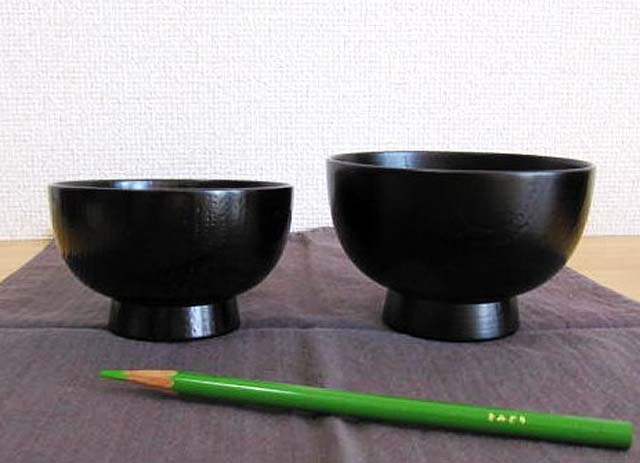 The lacquer used for the products is Japanese lacquer from the sumac tree in Yamagata Prefecture. Today, it is not easy to find sumac trees in Japan. Through the summer, it takes a whole day to tap the precious sumac trees that were detected after long research in the mountain. 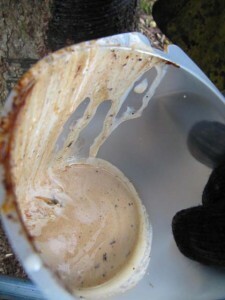 As you can see the photo showing the white liquid in the measuring cup, only a very little lacquer sap can be taken per a day. It seems interminable work, but each product is made only with Japanese lacquer by the hand of the skilled artisans. 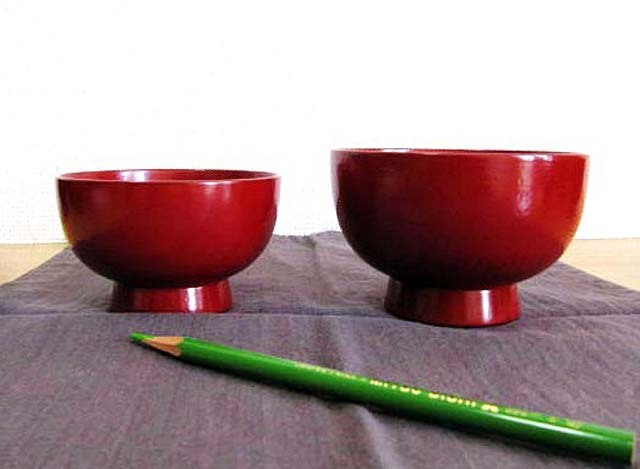 Please look at this beautiful bowls and others in our online store!